Simon has a busy and diverse practice. He accepts instructions across the gamut of Chambers’ areas of work. The core of his practice, however, comprises property, trusts and estates, pensions and commercial litigation. He appears both as sole counsel and as a junior in the Court of Appeal, High Court and County Court as well as before various tribunals, such as the FTT. He also acts in alternative dispute resolution processes such as mediations, arbitrations and expert determinations. He is instructed in both domestic and international matters and has particular experience in disputes with a Middle Eastern element, including DIFC litigation. He is a co-author of Wilberforce’s publication of the Rules of the DIFC Courts. 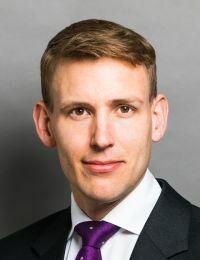 Litigation concerning the beneficial ownership of an offshore, web-based business, the admissibility of Part 36 offers in split trial proceedings, and the availability of summary judgment in response to a purported defence of causation where equitable compensation for loss is claimed. payment were increased from 3% to 5%LPI. succession to an assured tenancy. individual member consent to a new scheme. discretionary benefit increases to members. withheld consent to underlet the premises to a third party, Ford Motor Company Ltd.